According to Section 9(1) of the 1965 Constitution of the Republic of Singapore, "No person shall be deprived of his life or personal liberty save in accordance with law." The Constitution refers to the Singapore Police Force but does not address issues of use of force. According to Section 75(2) of the 1955 Criminal Procedure Code (as amended), if a person "forcibly resists or tries to evade arrest, the police officer or other person may use all reasonable means necessary to make the arrest." It is further specified that the person arrested "must not be restrained more than is necessary to prevent his escape".S. 76, 1955 Criminal Procedure Code (as amended). (b) such act by the police officer is necessary to apprehend the person. Additional powers are given by the 2018 Public Order and Safety (Special Powers) Act. Section 18(8) of the 2018 Act authorises a police officer to use "such force as is reasonably necessary, including the use of lethal weapons"
(b) to remove an individual or a vehicle or vessel from or away from a cordoned area, as the case may be. These powers do not comply with international law and standards on police use of force. (ii) any part of any vehicle in which a prisoner or lock-up prisoner is conveyed. weapons against any prisoner or lock-up prisoner using violence on any prison officer or other person, if the prison officer has reasonable ground to believe that the prison officer or other person is in danger of life or limb, or that other grievous hurt is likely to be caused to him. According to subsection 4, a prison officer "shall not resort to the use of any weapon under subsection (1) unless he has reasonable ground to believe that he cannot otherwise prevent the escape of any prisoner or lock-up prisoner." Furthermore, subsection 5 stipulates that: "Before using any firearm against a prisoner or lock-up prisoner or other person referred to in subsection (1), the prison officer shall give a warning to the prisoner or lock-up prisoner or that other person, as the case may be, that he is about to fire on him." Finally, it is specified that the use of weapons under Section 31 "shall be, as far as possible, to disable and not to kill". Singapore has no independent external police oversight body. Instead, complaints and investigations are carried out by the Singapore Police Force themselves. Complaints are investigated by the Police Divisional Headquarters, and serious allegations of misconduct are forwarded to the Internal Investigation Department for investigation. The Deputy Commissioner of Police takes decisions on any disciplinary matters. Singapore is not a state party to either the 1966 Covenant on Civil and Political Rights (ICCPR) or the 1984 Convention against Torture (CAT). Concluding Observations in recent years by the Committee on the Rights of the Child and the Committee on the Elimination of Discrimination against Women have not addressed police use of force. There is no regional human rights court with jurisdiction to review police use of force in Singapore. 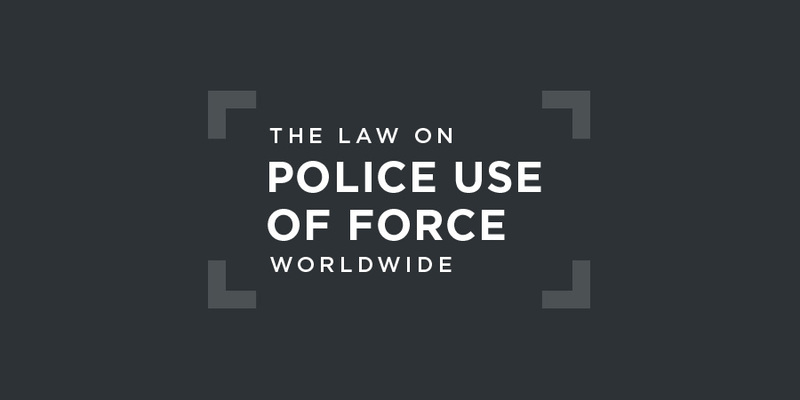 All instances of lethal use of force by police are subject to Coroner’s inquiries, but all recent cases are said to have been found to be lawful killings.